Who Are We? 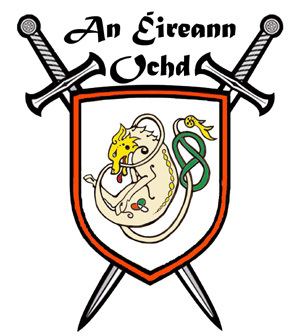 We are an all-volunteer group of owners sponsoring an exhibit of the eight National Irish dog breeds. These breeds are: Glen of Imaal Terrier, Irish Setter, Irish Terrier, Irish Water Spaniel, Irish Wolfhound, Kerry Blue Terrier, Red-White Setter and the Soft-Coated Wheaten Terrier. What Is Our Purpose? We present the 8 National Irish dog breeds, by invitation, at local annual events such as The American Family Pet Expo (April) and The Irish Fair (June) and whenever possible several of The Clan will attend Meet-And-Greet events sponsored by local businesses or estate managers. Frequently, spectators have never seen one or more of the breeds and it is our purpose to inform, educate and exhibit a "family oriented" example of the breed. We provide a look at retired show champions as well as the well-loved family pet of good quality as Ambassadors of their breed. We feel this demonstrates the breed's adaptability within the family dynamic in the most appropriate manner. It is not the intent of any participant to "sell" anyone on their breed, but to help a family determine if a specific breed would be acceptable in their own home environment. A gentle, spirited, high energy breed who loves to dig--gardeners beware! They love people but can be reserved with other dogs. They are quieter than the general Terrier, but still a terrier--brave and stubborn. If kept groomed, they shed less. This breed is very active with high-energy. He needs plenty of space and exercise. This is the "aristocrat" of bird dogs standing over two feet at the shoulder. He needs regular grooming and is generally a healthy breed. The rollicking Red and White is an Athlete bred primarily for hunting. Fun-loving, friendly and a real handful if bored. His coat needs little maintenance. The breed is a good companion for an active family. This breed is no longer a Wolf killer, but they still enjoy a good gallop. He is a home-body. His great size can be intimidating but he is non-aggressive using his size to command attention. Tallest of hounds, his motto: Gentle when stroked; fierce when provoked. This breed has the distinction of being the only all-red terrier. He is active, lithe and wiry with great animation. His coat needs regular grooming and striping. They are great athletes and must have regular exercise so a fenced backyard is ideal. This is generally a healthy breed. This breed has a naturally water-repellant coat. They are active and athletic and crave exercise, especially swimming. Primarily used for water fowl hunting. His most distinguishing characteristic is the top knot of long, loose curls, a curly liver-colored coat and a smooth rat tail. This breed needs room to romp and explore. You can count on a bit of Irish humor from this breed! They really enjoy being part of a family, but it is important to instill good manners in the dog at an early age. Smart, Alert, Lively ...and very people oriented. We're Still Wanting... ...MORE FAMILY INVOLVEMENT! please give them our contact information so they can find out MORE! There are perks galore! Currently we are looking for a family with Irish Water Spaniels and one or more Kerry Blue Terrier. Each of our Irish breeds could share the fun with MORE of their own!